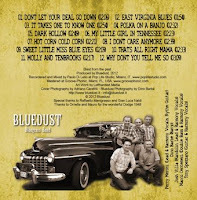 Maurizio 'Dr Feelgood' Faulisi presents 'ACOUSTICS': a series of bluegrass, blues, swing, and new acoustic music concerts. One Sunday a month from October 2012 to April 2013, at Amigdala Theatre, Trezzo sull'Adda, Italy. One of the few Italian bands of traditional bluegrass music. Five musicians dancing around the microphones in a succession of solos and mixed voices supported by the harmonious sounds of upright bass, mandolin, and guitar with melodic flourishes of banjo, in full compliance with musical and aesthetic of the best traditional bluegrass. In this gig, the band will preview Blast from the past, the first Bluedust album! The concert will focus on the album tracks, plus many surprises and a Christmas finale! 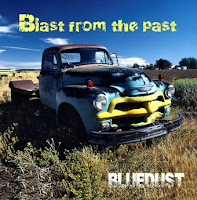 Blast from the past literally 'came out of the past', but Blast is also an explosion, an explosion of rhythm and sound, as in traditional bluegrass of Lester Flatt, Earl Scruggs, Bill Monroe, and Ralph Stanley. Played and sung with energy and passion. Honest work, without alteration techniques, free from any desire for originality! Pure sound, pure instinct, pure fun! Only bluegrass!